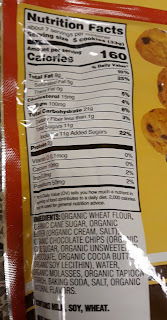 These sound a lot like the crispy little choco chip cookies that come in a big tub- although somehow the ones in a tub are a lot more per serving. 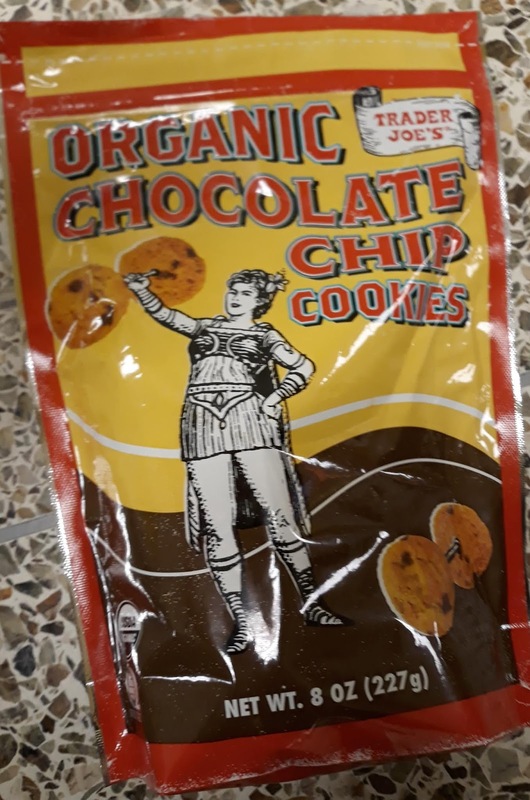 I was excited to try these cookies, but also a little skeptical. Being organic does not automatically equal flavorful or delicious. 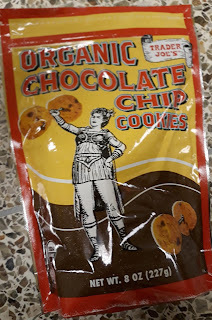 These are hands down the BEST organic chocolate chip cookies I have found! From a size standpoint, these are Famous Amos. 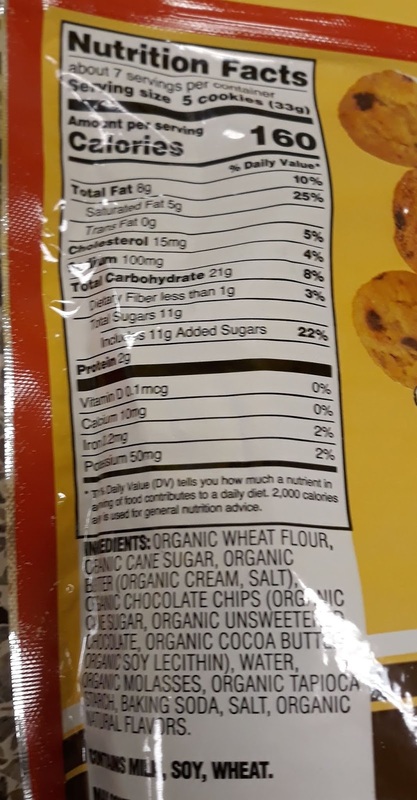 The ones in the tub are thinner… so you get more cookies per serving. I love that Trader Joe’s is expanding their Organics. Not only did I like them, my kids loved them. It feels good to give my family healthier treats. We all liked these better than the Famous Amos cookies and I feel certain it’s because these use real BUTTER and Famous Amos doesn’t use any.